I think there are a lot of people who built data centers during the dot com boom who now have aging UPS systems. They’re probably wondering what to do…do I need to buy a new one? Can I get a few more years out of it by upgrading? Should I not make any investment beyond minimal maintenance practices and just let the thing run-to-fail? Or should I use this situation as another justification for outsourcing? If you’re in this situation and you aren’t thinking about these things, you should be. 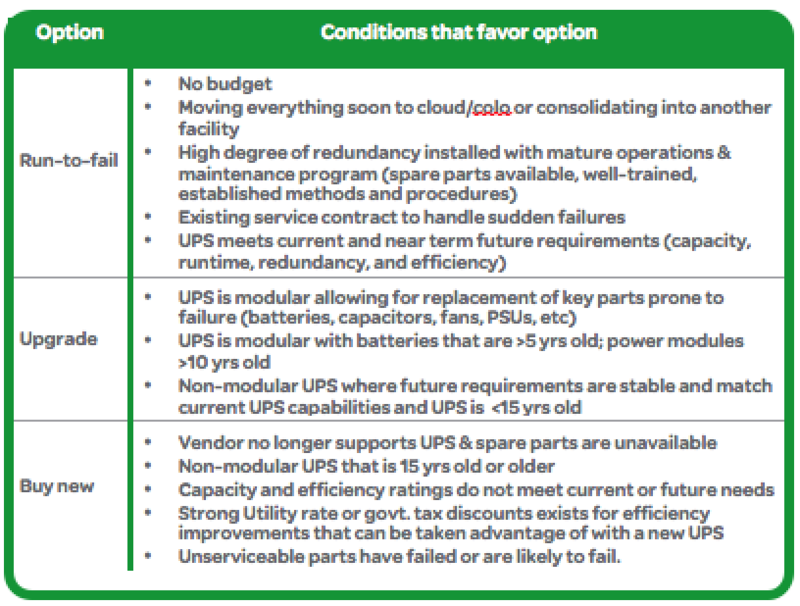 The need for service and risk of downtime goes up significantly when a UPS is over 10 years of age.